When choosing your next vehicle in Holmdel, be sure you consider the cabin. After all, this is where you’ll spend most of your time, so you want it to be special. Therefore, drivers are choosing the 2017 Jaguar XE. With its attractive interior, this is a vehicle to bring home today. The one thing you can always count on with the Jaguar XE is that the interior will be comfortable and convenient. First, you and your passengers will enjoy plenty of space that allows each of you to ride through Rumson comfortably. Aside from cabin space, you will also get up to 15.9 cubic feet of cargo space, so you can easily fit all your belongings and take them along for the ride. You can even fold down the rear seats to expand that area for more space. As for convenience, the Jaguar XE packs plenty of interior storage options too. For instance, the overhead sunglasses compartment, bottle holders, and smartphone tray make it easy for you to stay completely organized while on the go. Another great feature of the Jaguar XE is the technology found inside the cabin. First, you’ll enjoy the look of the dashboard that houses all the technology and amenities you could want in a vehicle. Everything you want is within reach, and the sweeping dashboard creates more space for front passengers. This model also features JaguarDrive®, which rises so you always have complete control when in Colts Neck. The Jaguar XE is a luxury vehicle, and the interior of this new model will prove it. First, you can choose between glove-soft leather, a sleek veneer, or a twin-stitched leather in a variety of colors for a cabin that matches your style and taste. All of these items will also be complemented with contemporary finishes like Satin Chrome trim. Speaking of personalization, this new model also allows you to customize the complete inside of the cabin. 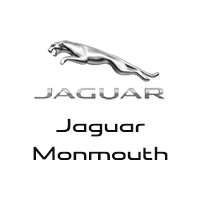 Basically, you decide how you want the cabin to be set up and how it should look, and Jaguar will create the vehicle that is specifically designed for you. The 2017 Jaguar XE is a vehicle you want to get your hands on. After all, it boasts a very attractive and appealing interior that you will enjoy spending time in. From its luxury materials to customized cabin, down to the technology you’ll find inside, this is a vehicle you do not want to pass up. Thankfully, Jaguar Monmouth has plenty for you to choose from. Visit our dealership today at 807 NJ-35 in Ocean Township to see the vehicle in person. Contact us online or by phone at (877) 672-8680 to schedule a test drive or apply for financing.